The 12 Days of Fitness is almost finished so make sure you enter today! RKS workouts was nice enough to give us a set to giveaway and a set to test ourselves! I have used several DVD workout sets in my time. 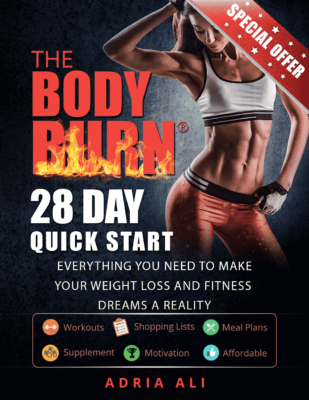 These range from “The Firm”, to “P90X, 10 Minute Trainer, Taebo, Jillian Michaels workout routines and many more! For beginners, other workout DVDs can be confusing and require various types of equipment. This workout is simple, to the point, and effective! I just started using them a week ago and I am already seeing results! 16 workouts that will transform your body over a 4 week program. Also, the RKS 30-minute training program only uses one kettlebell, making this the most versatile, well-rounded, completely portable gym anywhere. With weekly challenges built into the program, the user will also have a way to gauge progress over the training period. Many of the popular fitness video programs out on the market today are much too long and cardio-centric, which causes high amounts of muscle breakdown, fatigue, and training plateaus. The RKS program of progressive training gives the user a balance of strength, flexibility and conditioning while molding a lean, powerful physique with lungs that won’t quit. Because kettlebell training teaches the body to communicate and work as a complete unit, rather than as individual parts, the user will experience amazing results in athleticism and coordination, which is very important for kids playing sports or for adults hoping to stay active and pain-free (source). Share this fitness tip with your friends and family so they have a chance to win this awesome program! If you don’t win, don’t worry, this program is very reasonably priced. For under 100.00 you get the 15lb kettlebell and all the DVDs. A small price to pay for increased muscle mass, decreased body fat, and a fresh look at life. Visit RKSworkout.com for all the details! Simply enter your email or sign in using face book. Once your log in is accepted click on one of the four options. Follow the instructions and earn your raffle tickets everyday!